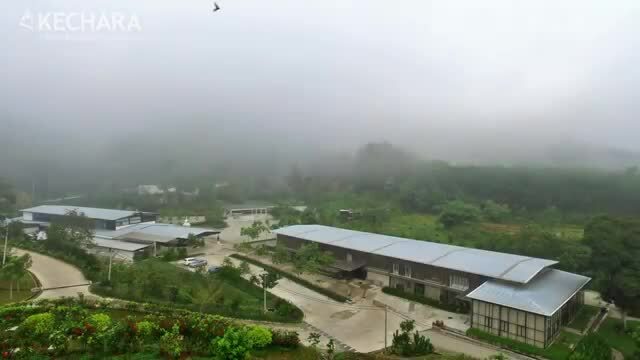 Over the years Kechara students have gone to H.E. 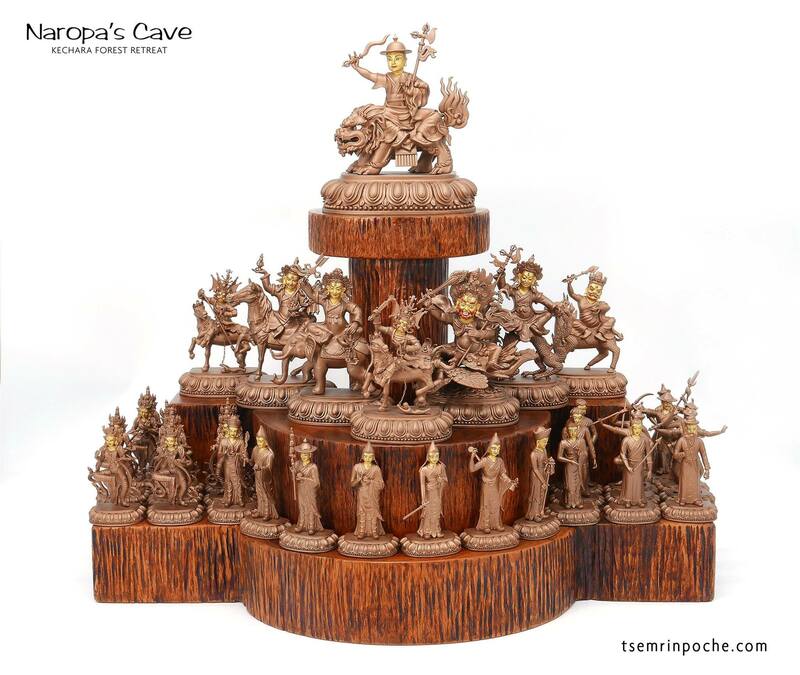 Tsem Rinpoche’s home and headquarters Gaden Shartse Monastery, and various other places around the world where they have met many of Rinpoche’s friends, peers and lamas. 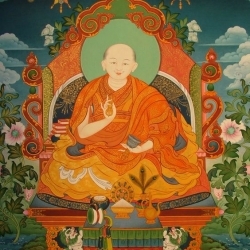 Each time, they have given us a beautiful sharing about Rinpoche and his qualities that Rinpoche would not talk about himself. 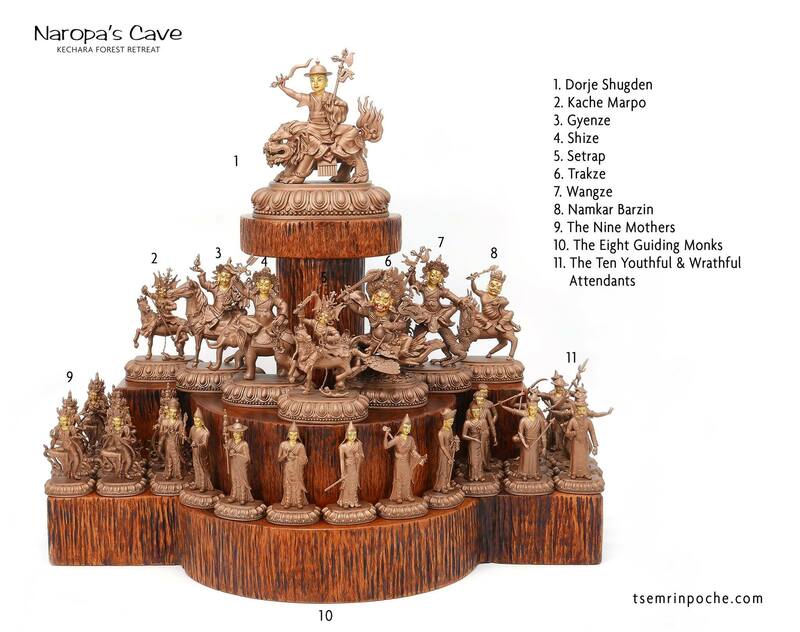 Here is one of those sharings and if you wish to read more on this, please go to Great Masters Speak about Tsem Rinpoche. 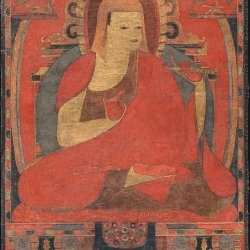 Gen Gelong’s simple appearance belies the force of his practice. 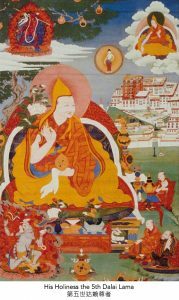 Gen Gelong was one of the disciplinarians of the monastery, and he first met Tsem Rinpoche when Rinpoche arrived in Dharamsala. 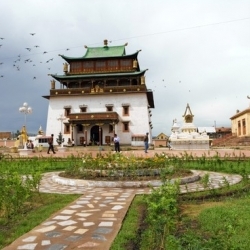 Although Gen Gelong was unable to speak English, and Rinpoche was unable to speak Tibetan, through a series of gestures and mimes, a strong friendship and respect was developed between the two monks. 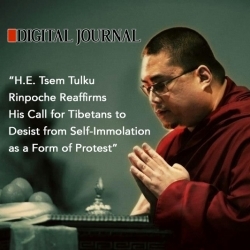 Here he recalls his impression of Tsem Rinpoche when Rinpoche first came to the monastery. Summary: Most of the video centres around discussion of Gen Gelong’s medical problem. 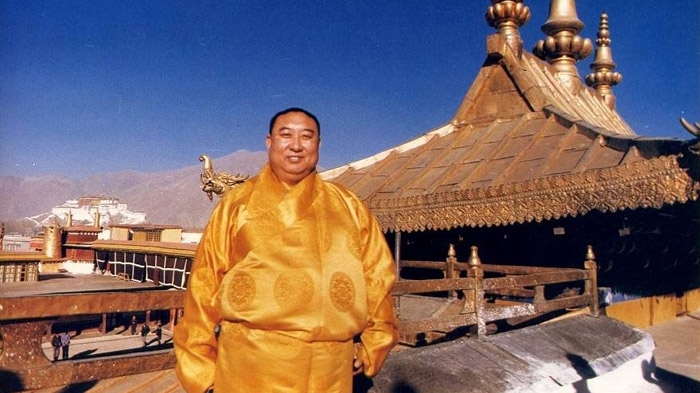 Gen Gelong said that the first time he met Rinpoche, Rinpoche spoke a little Tibetan which impressed him. 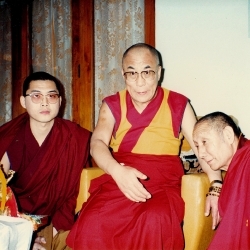 Gen Gelong and Rinpoche were very close. 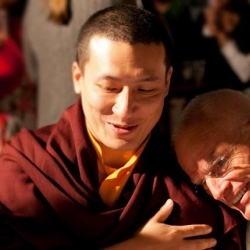 He felt that Rinpoche was very special and an exceptional young man to be able to leave behind everything in America to go to India to be a monk when others were going the other direction to America. 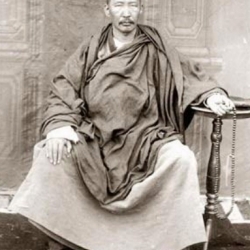 He could see that Rinpoche was a very Dharmic person from the way he carried himself and spoke. 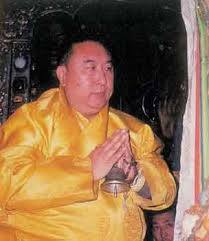 Gen Gelong also said that Rinpoche was playful and would play pranks on him. 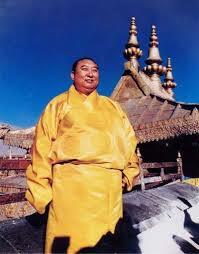 Gen Gelong said that Rinpoche’s Dharma is very pure. 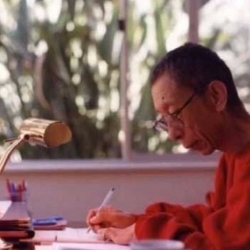 Although bedridden with tuberculosis of the bone, Gen Gelong gave this interview to a group of Tsem Rinpoche’s students, giving each of them personal advice for their practice. 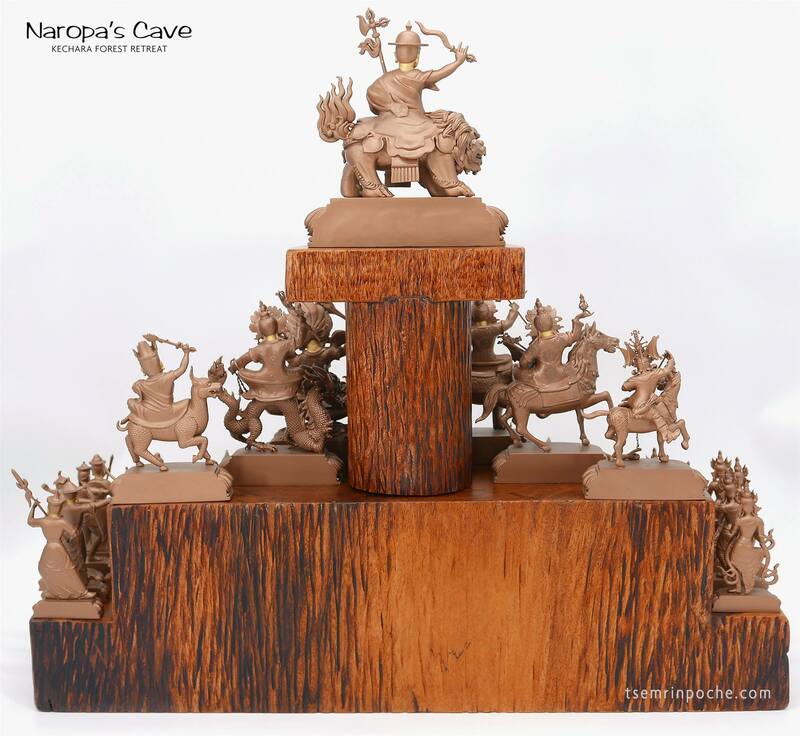 He recounted the time when Tsem Rinpoche first arrived at Dharmasala and their meeting. 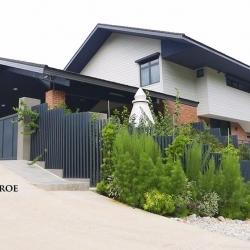 Although Tsem Rinpoche was an ordinary monk at the time, Gen Gelong invited him to stay at Gaden Shartse’s Shabten Khang because he was a student of Kyabje Zong Rinpoche. 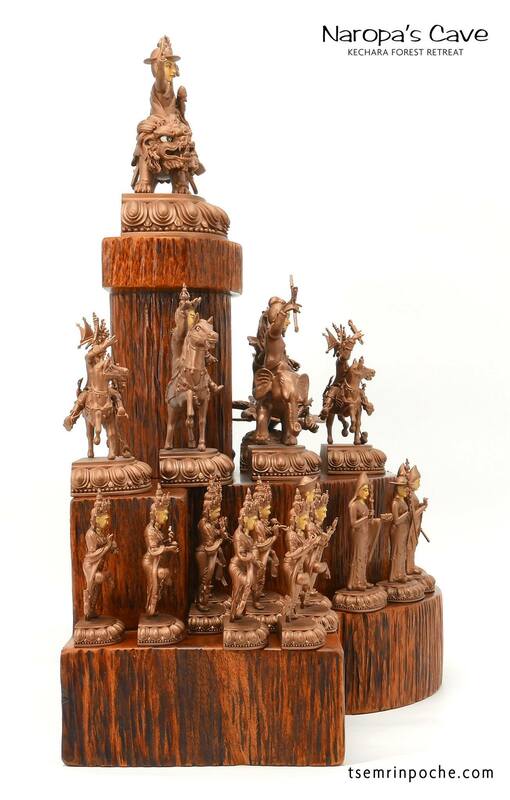 He did not think Tsem Rinpoche was an ordinary person, but someone who was a strong practitioner of the Dharma, and offered him a khata. 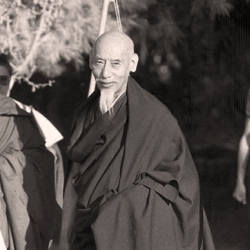 When Zong Rinpoche came to the United States and stayed at Geshe Tsultrim Gyeltsen’s centre, he met Tsem Rinpoche who was assigned to served him. 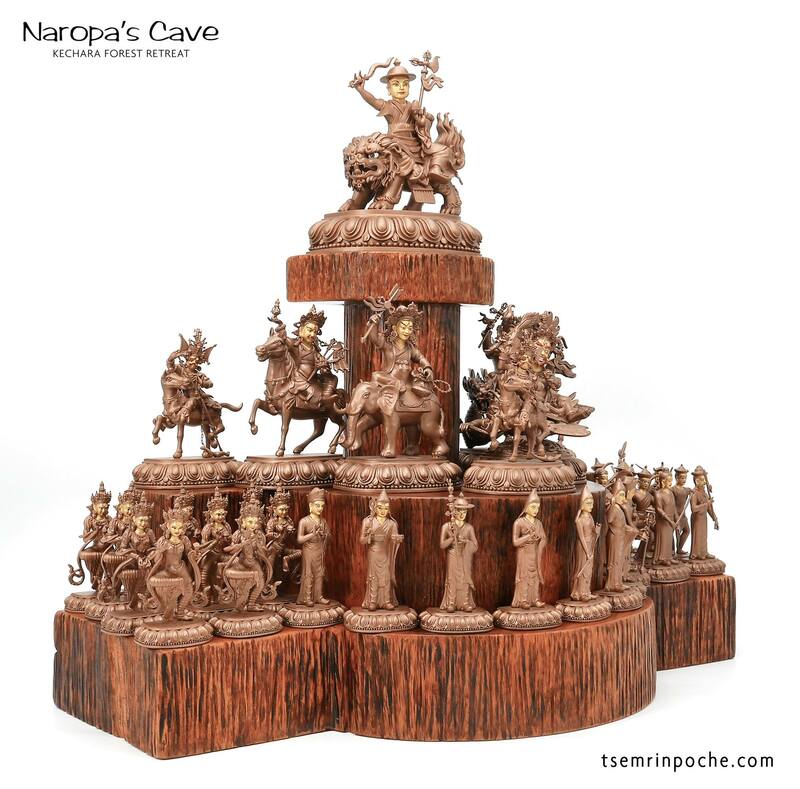 Zong Rinpoche was very happy with Tsem Rinpoche. 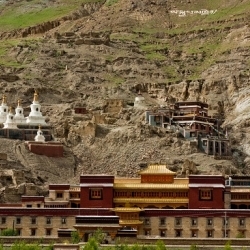 Gen Gelong first met and became close to Rinpoche there. 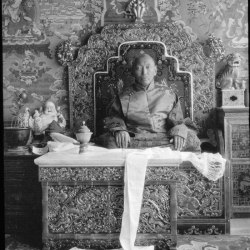 Gen Gelong invited Rinpoche, who was then a young man on his own all the way from America, to stay with him in his house and help him in the Shabten Khang, Gaden Shartse in Dharamsala as he was going to be in Zong Ladrang anyway. 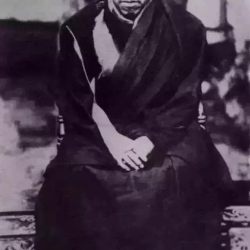 So although Tsem Rinpoche had not been recognised as a high incarnation yet, Gen Gelong had invited him to stay at Gaden Shartse Monastery’s Shabten Khang because he was a student of Kyabje Zong Rinpoche. At the time, Gen Gelong was looking after the Shabten Khang and therefore, had the authority to invite Tsem Rinpoche to stay there. 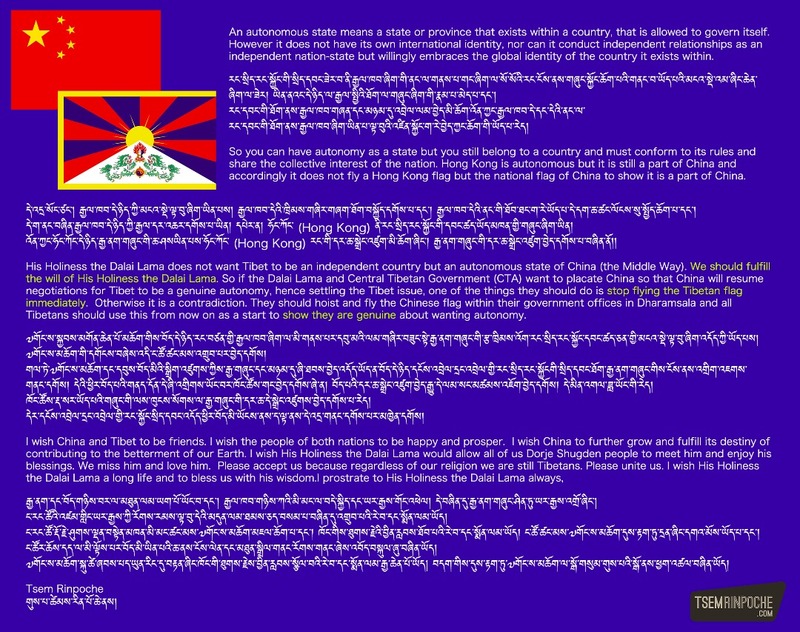 When Tsem Rinpoche first came to Dharamsala, Rinpoche could not speak Tibetan. 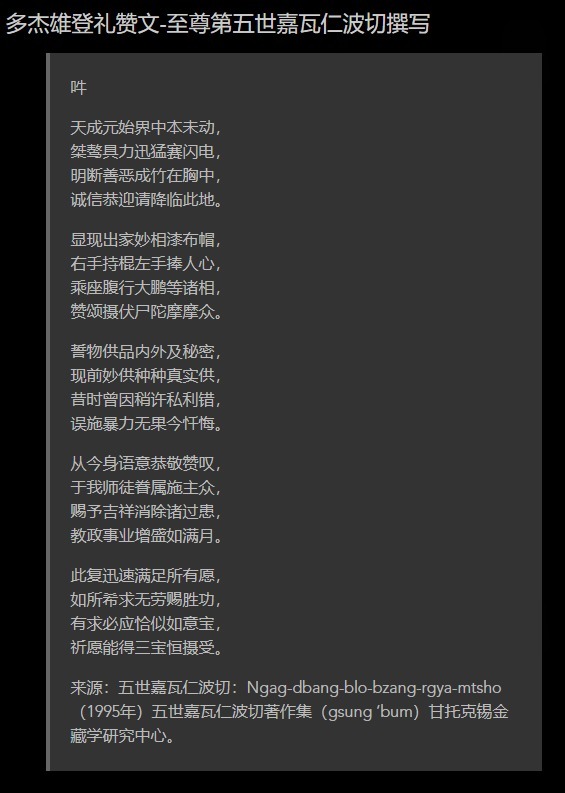 Therefore, Gen Gelong started to play and to tease Rinpoche in Tibetan. 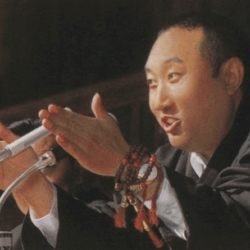 Soon after, Rinpoche began to speak a little Tibetan. 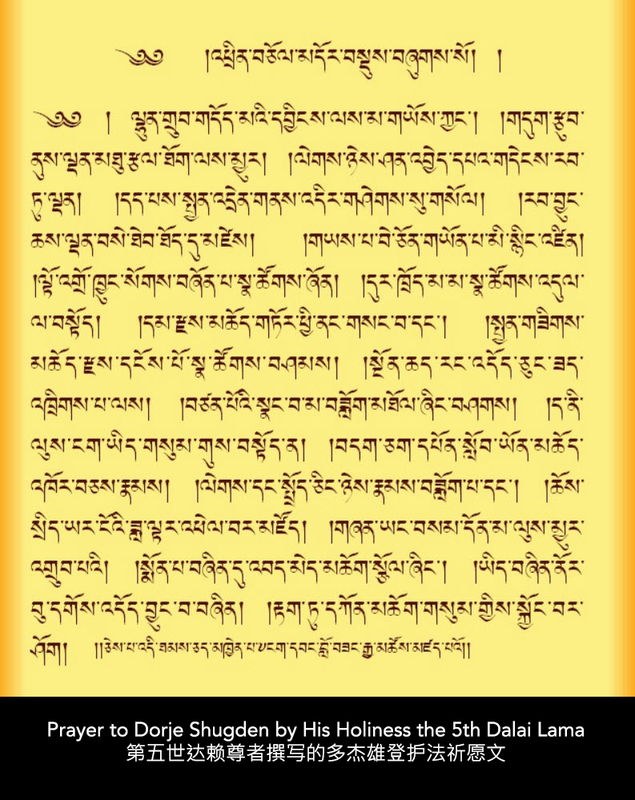 Gen Gelong then started teaching Tibetan to Rinpoche. They became very close then. Because it was cold in Dharamsala, Tsem Rinpoche offered Gen Gelong clothes, although at the time Tsem Rinpoche was not rich. 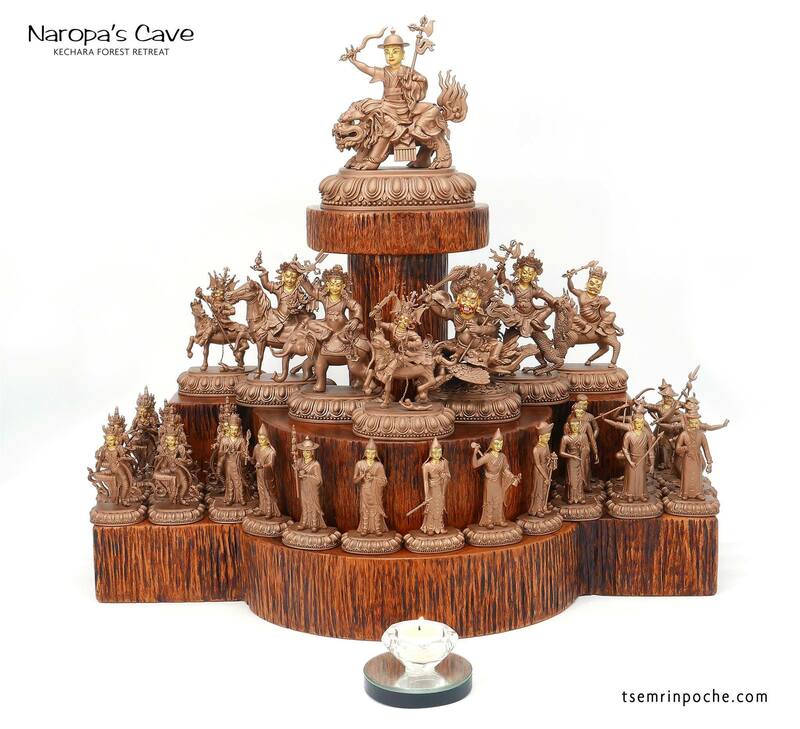 Gen Gelong said that Tsem Rinpoche’s Dharma is very pure. 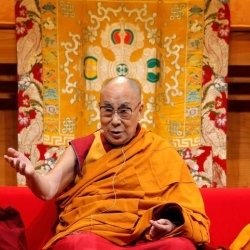 He can’t say about others as he doesn’t know them but he knows Rinpoche’s Dharma practice. 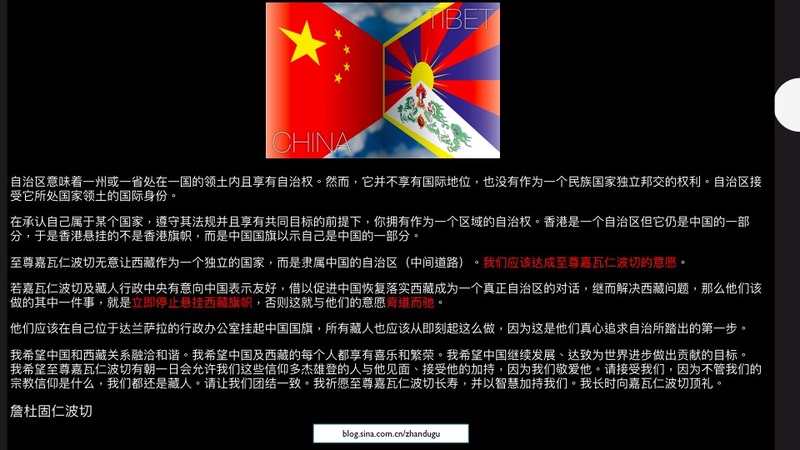 Gen Gelong said Tsem Rinpoche left everything in America and came to India. It was a great thing to do as others were leaving India for America. When he first met Tsem Rinpoche, he thought Tsem Rinpoche was not normal but exceptional. 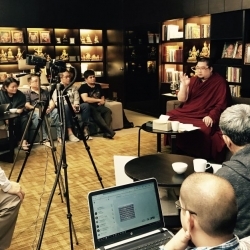 The way Tsem Rinpoche looked and spoke was very special. Gen Gelong then offered a khata to Tsem Rinpoche and told Tsem Rinpoche that he looked very much like a Buddhist and a very Dharmic person. 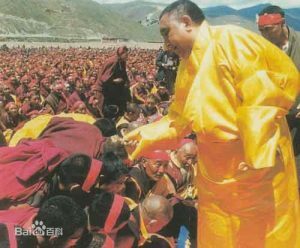 Gen Gelong said that Tsem Rinpoche was very playful. 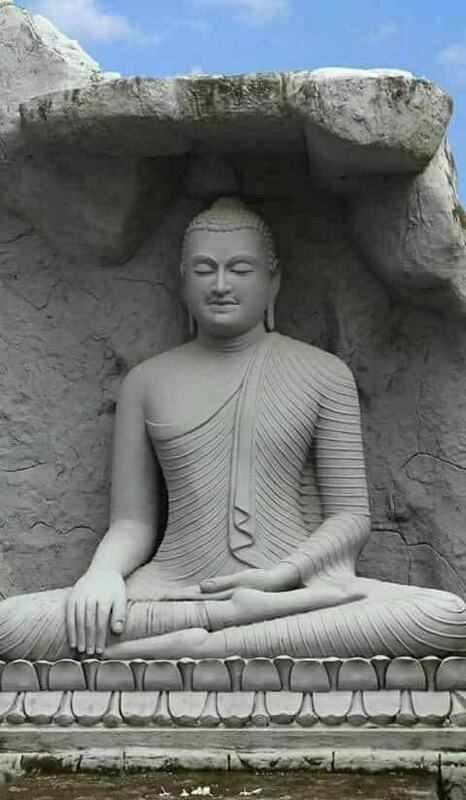 He related his time as the Disciplinarian of the monastery and how Tsem Rinpoche often teased Gen Gelong during puja, or play tricks on him by placing stones or insects in his shoes to surprise Gen Gelong. 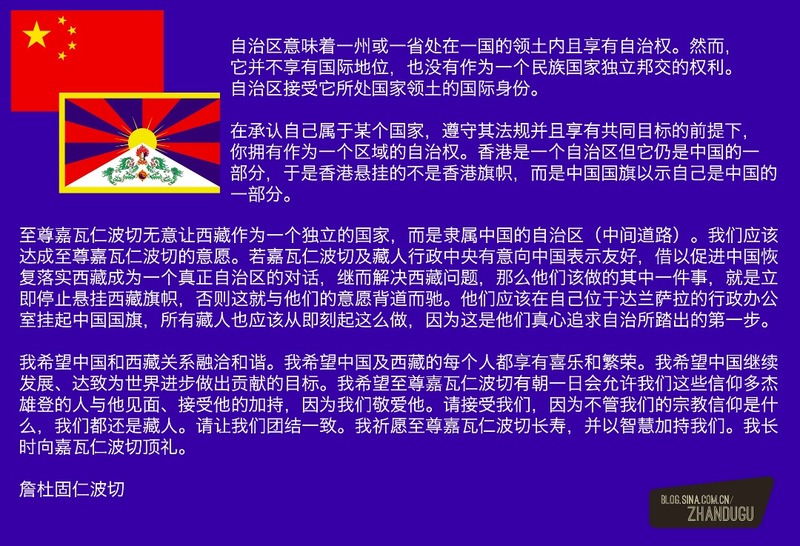 Gen Gelong said that if Tsem Rinpoche stayed in the monastery, he would have obtained his Geshe degree name. 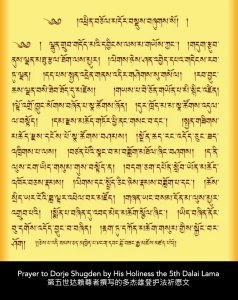 Tsem Rinpoche had learned all the scriptures necessary for becoming a Geshe. 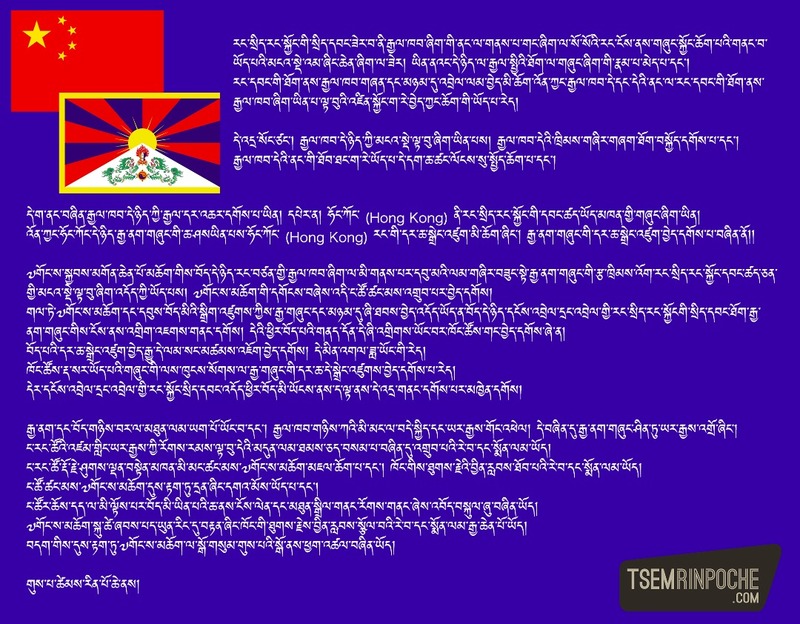 However, Tsem Rinpoche was requested to go overseas to fundraise for Phukhang Khangtsen monks, and therefore, Tsem Rinpoche could not complete the process of becoming a Geshe name. 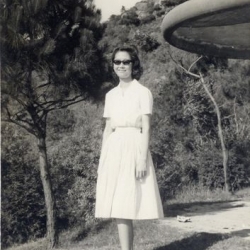 Tsem Rinpoche did not wait to obtain his Geshe degree before going overseas because the objective of the fundraising effort was not for himself, but for many monks. 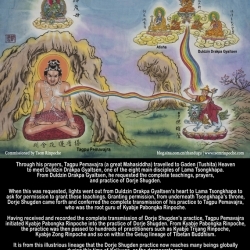 Although Tsem Rinpoche was from Gaden Shartse, Tsem Rinpoche helped both Gaden Jangtse and Gaden Shartse. 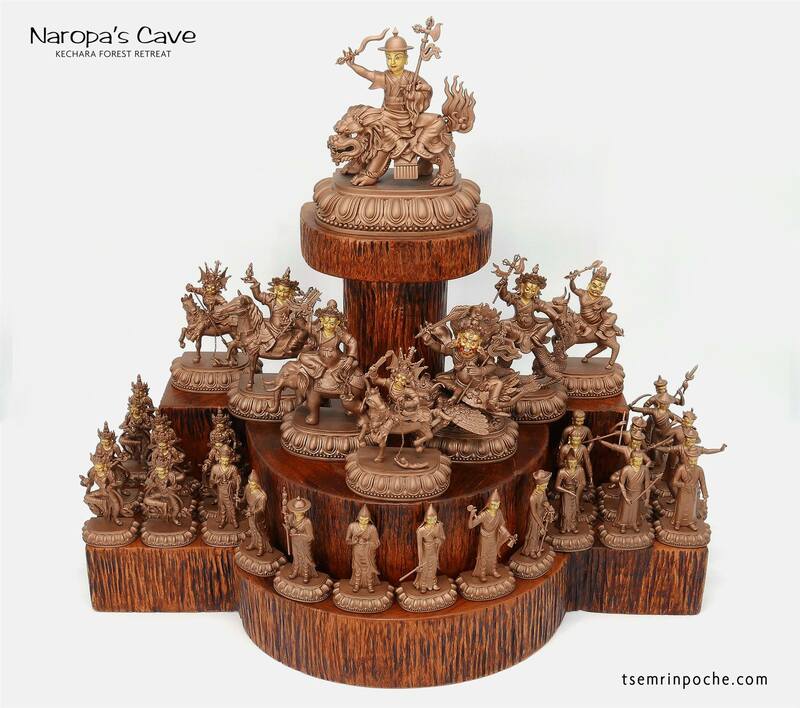 Therefore, everybody was very impressed with Tsem Rinpoche because people felt that he possessed bodhicitta, or had the mind of a bodhisattva. Gen Gelong said that every few months, Tsem Rinpoche offered him money to buy milk or other necessities. Gen Gelong felt close to Tsem Rinpoche because even though Rinpoche had stayed in foreign countries for many years, he had never disrobed. Gen Gelong said that Kecharians are very lucky to have a teacher who can speak English, as he is able to impart the teachings which will not only benefit us in this life, but in future lives too. 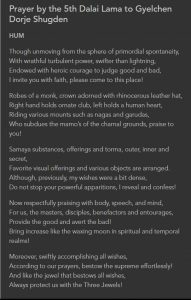 Tsem Rinpoche was a very sharp student. 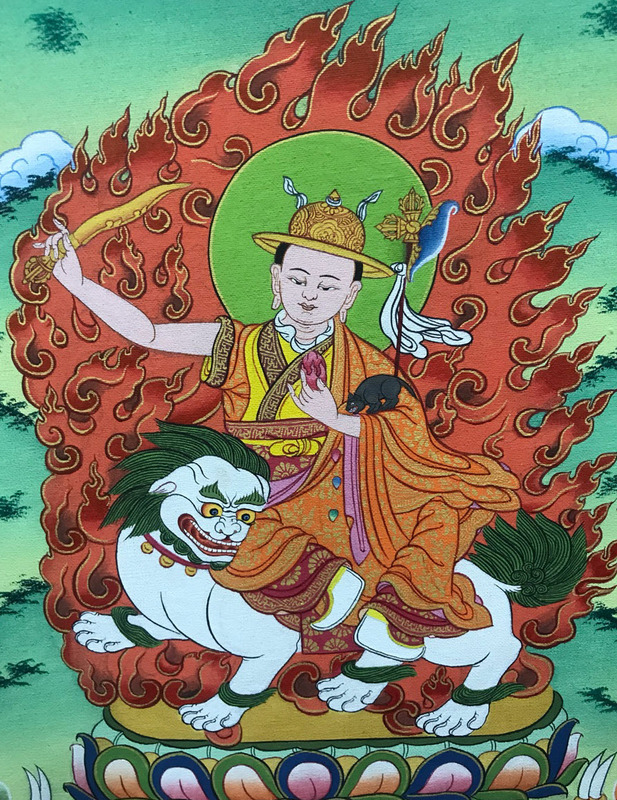 Due to his learning from past lives, Rinpoche could understand the subjects very fast, compared to those who have not studied them in their past lives. 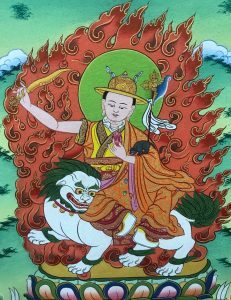 Although Rinpoche has retained the learning from his previous lives, to inspire sentient beings, Tsem Rinpoche has to go through the learning process again. 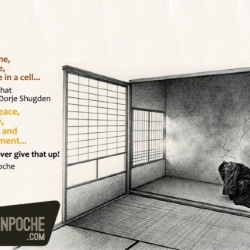 Tsem Rinpoche’s great guru devotion towards Kensur Jampa Yeshe Rinpoche was due to the blessing of Zong Rinpoche and his past lives’ merits. When this interview was recorded Gen Gelong was ill with tuberculosis of the bone. He was bedridden because the disease had attacked his spine. 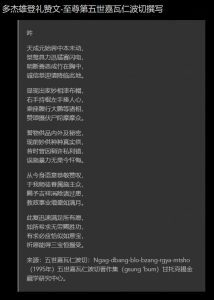 He apologised that he wouldn’t be able to travel to Malaysia as Tsem Rinpoche had requested because of his illness. 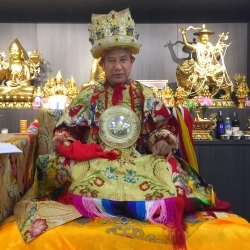 Gen Gelong also explained that he used to give leeway for Rinpoche to skip pujas because of Rinpoche’s strong past life affiliations with the Dharma. 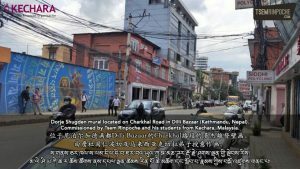 Gen Gelong also felt that Tsem Rinpoche should have entered Dokhang Khangtsen in Gaden Shartse because his past life came from Dokhang Khangtsen. 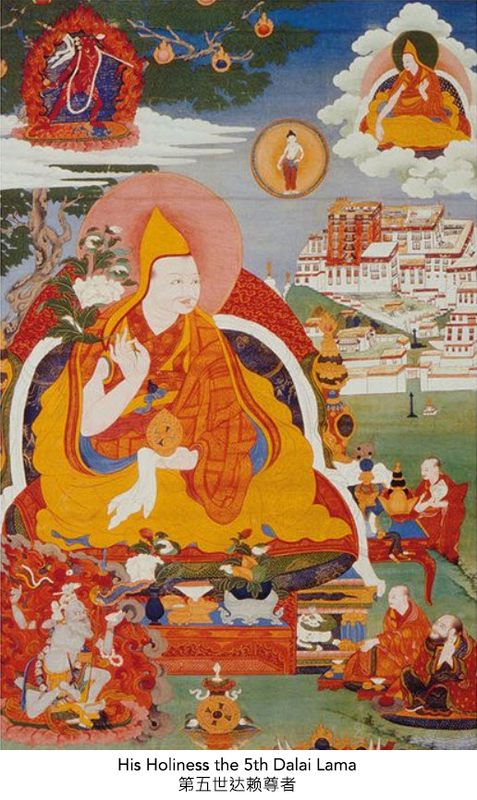 Rinpoche’s previous life was Kentrul Thubten Lamsang from Phari. 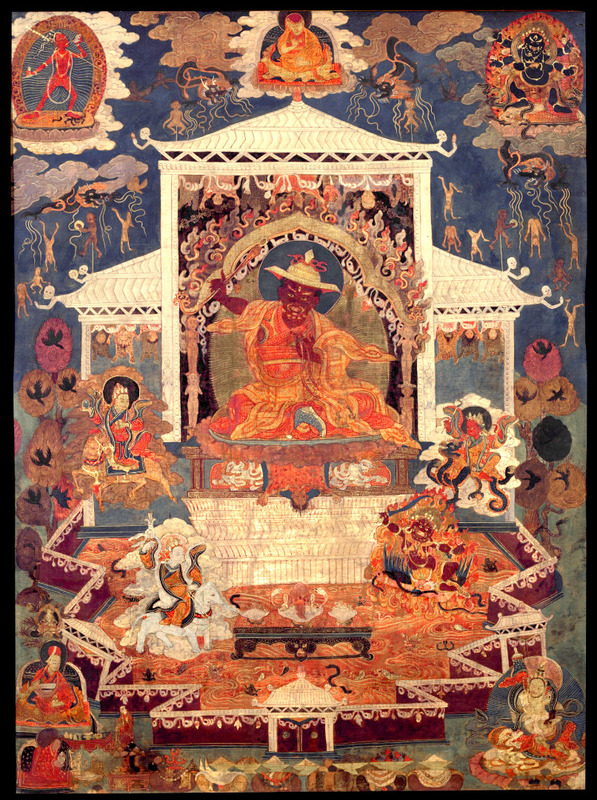 Tsem Rinpoche was enthroned very much later in life. However, it does not matter because there are some tulkus that were enthroned at an even older age (e.g., 50 years old). 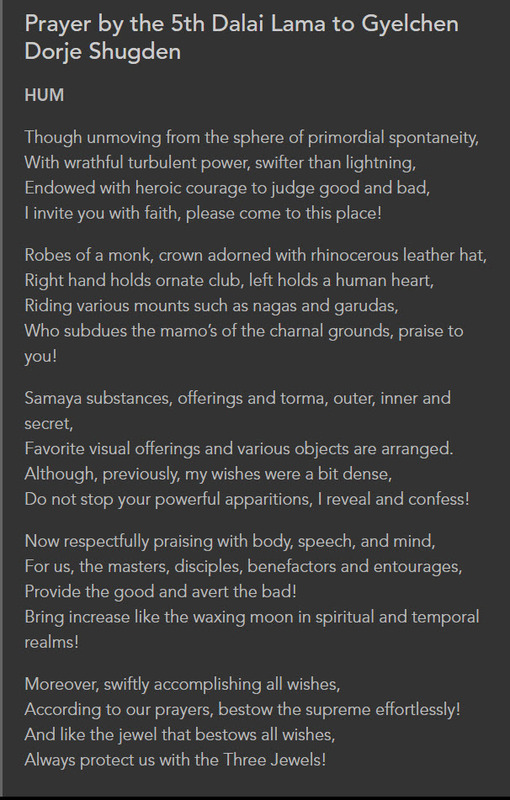 Beautiful account of our Guru by someone who had known Rinpoche for a long time. The respectable Gen Gelong tells a memory of Rinpoche and thought of Rinpoche is no original person but of someone very special, who will bring dharma to the next level. 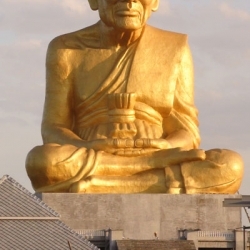 We are indeed lucky to have Rinpoche as our Guru here in Malaysia. With folded hands Rinpoche , thank you for this wonderful sharing. How fortunate of us to be let a glimpse of the life of Rinpoche when he was in Gaden Shartse Monastery through the memory of the respectable Gen Gelong! 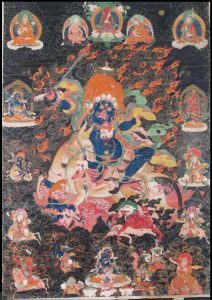 Rinpoche possesses many extraordinary qualities that represents a Dharmic person and of the mind of a Bodhisattva. 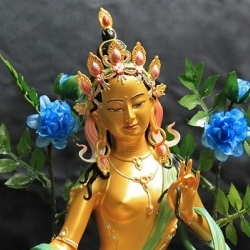 It is truly amazing and lucky to have Rinpoche as our Guru. Thank you for this sharing.